Families love Ski Town Condos and Monarch Mountain. Ski Town Condos vacation rentals are located in Garfield/Monarch, Colorado and have some of the best Colorado travel deals in the area. 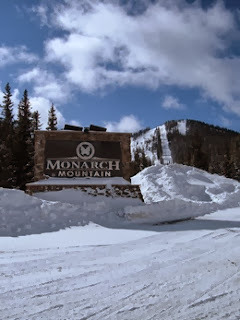 Only three miles from the Monarch Mountain Ski Resort, perfect for families! See what our guests have to say. Cozy Getaway! We had an amazing stay at Ski Town Condos. The condo fit 3 adults and 2 kids just perfectly, and we had enough room for more. The place was very clean and comfortable. It had everything we needed. We took advantage of the great kitchen space for making meals and having things on hand. This was a great drive to Monarch Ski area. You can't stay any closer than this it seems. It made it very convenient to get their for our ski day. We loved getting in the hot tub and relaxing on a day after the slopes. It was easy to get to Salida for dinner and to Mount Princeton for the hot springs. This was such a great location. We will most definitely be back when we go to Monarch again. This place was perfect. Gigi was amazing. She was friendly, kind and helpful.